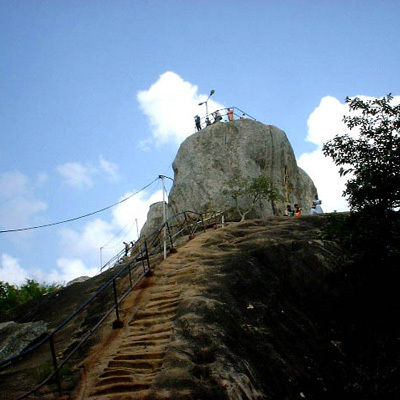 Mihintale is a mountain peak, only 8 km away from Anuradhapura which is the ancient city of Sri Lanka. It is, quite literally, the primary location of significance on the Sri Lanka Buddhism trail, as it is the first Buddhist sermon was preached and the doctrine of peace introduced to the island. Mihintale is a popular destination for local tourists, but not yet been well-known among the foreign visitors. The PATA Sri Lanka Chapter initiated a project of improving the condition of the Mihintale Rock Temple. The objectives are to promote the Mihintale Rock Temple as the heritage site of the Buddhist trail and to increase the awareness among the local and foreign visitors. The PATA Foundation grant is for the installation of directional signage, the purchasing of the garbage bins, and the improvement of the basic utilities such as water supply and toilet facility. In addition, the grant will also be used by the Chapter to hold the environmental awareness programme for the children and vendors around the temple.